The Highlands of Scotland are a special place. 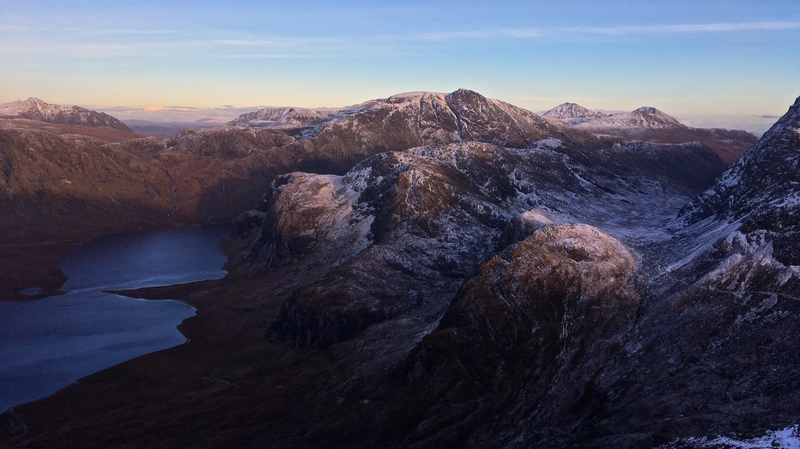 With over 700 mountain summits, including the highest and remotest in the UK, the Highlands are a vast mountain region covering an amazing variety of landscapes. Whether you’re after a multi-day wilderness experience, a walk across a wide-open plateau or an enthralling ridge walk, there are endless possibilities to explore. There are also some amazing lower level walks and long distance trails along the coasts or through the mountains. Options include visiting the stunning bays and beaches of the west coast, walking through vast wilderness areas such as the Cairngorms or completing one of the countries many long distance trails like the Cape Wrath Trail. Why not come and explore some of these classic walks in the company of an experienced and friendly guide? Whether you are new to the outdoors or a seasoned veteran on the hills, our aim is to help you to make the most out of your trip to the area and enjoy the spectacular scenery. We offer both pre-arranged trips (see our Upcoming Walks page) and bespoke adventures to fit with your personal needs and ambitions. These trips can either be single or multi-day dependent on the selected objective. If you would like to find out more or book a trip then please visit our Booking Info page. If you don’t see a pre-arranged walk in the area you want to visit, we also cater for trips in other parts of Scotland. If you have a trip in mind, please get in touch to discuss.